Dr. Konstantinos D. Alysandratos, MD, PhD, will present on Science Sunday to the HPS community at the 25th Annual HPS Network Conference, March 9 – 11, at the Long Island Marriott in Uniondale, N.Y. His presentation will help us understand what different types of stem cells are, and how they might relate to current and future research on Hermansky-Pudlak Syndrome. He will be giving a more scientific presentation to Meeting of the Minds, an invitation-only HPS researcher meeting held the day before. Dr. Alysandratos is a pulmonary and critical care fellow at Boston Medical Center. 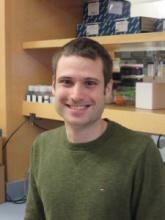 He also is part of the team at the Center for Regenerative Medicine at Boston University as part of Dr. Kotton’s lab. He is in the third year of his fellowship and is working on a stem cell model for the study of surfactant protein C mutations associated with childhood and familial pulmonary fibrosis. He received his Doctorate of Medicine from the University of Athens and embarked on his research journey after winning a competitive 3-year scholarship from the Hellenic State Scholarships Foundation. As part of his doctoral work under the mentorship of Dr. Theoharides at Tufts University, he studied the interplay between neuropeptides and cytokines in the pathogenesis of atopic dermatitis and their role on mast cell activation. He has also contributed to translational discoveries relating to mast cell activation in neurodevelopmental disorders such as autism spectrum disorders that may inform novel therapeutic approaches. Dr. Alysandratos completed his internal medicine training at UT Southwestern Medical Center, during which time he developed his passion for intensive and pulmonary care.